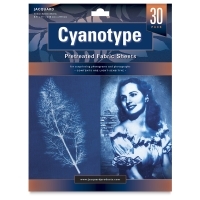 Traditional cyanotype was an antique photographic process distinctive for producing Prussian Blue monochromatic prints. 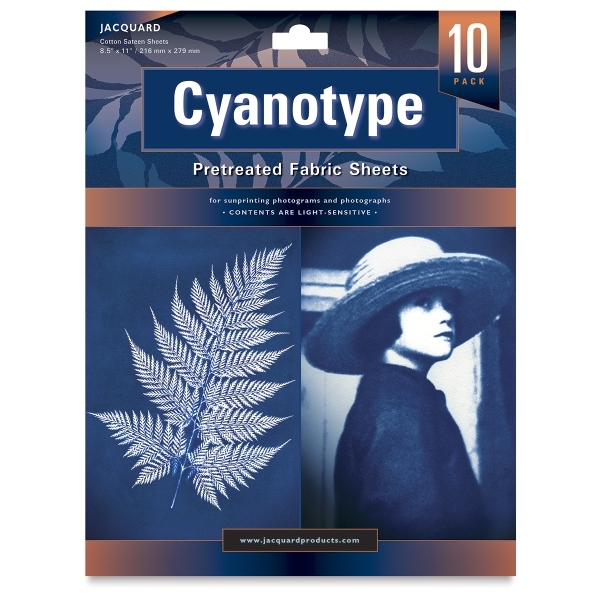 Today, Jacquard Cyanotype lets you create rich, Prussian Blue-colored photographs and photograms on fabric or paper in just minutes. Choose from pretreated, ready-to-use cotton sheets, or open stock chemicals, which can be applied to any natural fiber, including paper, cotton, silk, wood, and wool. Cyanotype Pretreated Fabric Mural — A cotton sateen sheet measuring 5 ft × 7 ft is pretreated and ready for cyanotype printing. 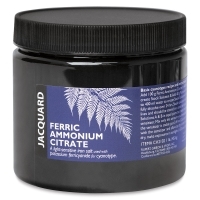 Ferric Ammonium Citrate — This is a light-sensitive iron salt used with potassium ferricyanide for cyanotype printing. Choose from 8 oz or 16 oz packages. 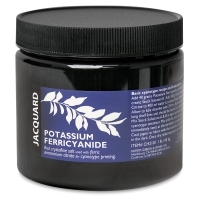 Potassium Ferricyanide — This is a red salt used with ferric ammonium citrate for cyanotype printing. Choose from 8 oz or 16 oz packages. 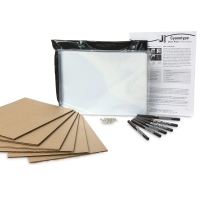 Cyanotype Sensitizer Set — This set includes the chemicals needed to make approximately 65, 8½" × 11" prints on paper or 50, 8½" × 11" prints on fabric. Cyanotype Pretreated Fabric Sheets — Cotton sateen fabric sheets measuring 8½" × 11" are pretreated and ready for cyanotype printing. Choose from packages of 10 or 30 sheets. 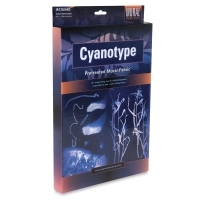 To view a PDF of detailed instructions on Cyanotype, please click here. 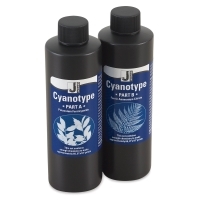 To view a PDF for tips and troubleshooting for Cyanotype, please click here.